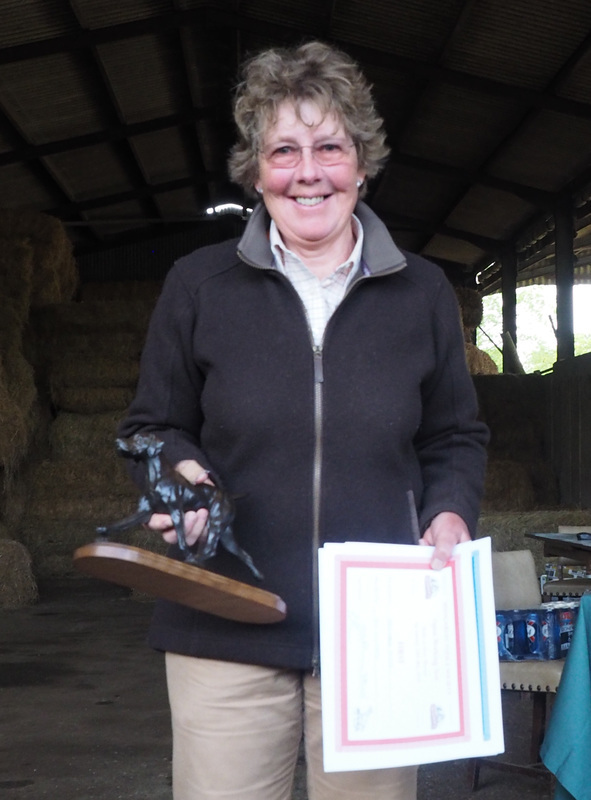 The results of our Working Test are now available on the website by clicking HERE together with some lovely photos of our winners. The entries for the HVS working test close on Monday 23rd May, that's just a week away!!! ​Hope everyone is having a good "Summer"??? 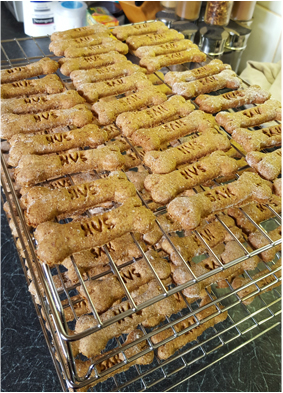 Following on from all the lovely comments, made by the exhibitors, about the dog biscuits that were gifted to our canine entrants, We thought you might like the recipe. You don't have to cut them into fancy bone shapes - just squares - Honest the dogs don't mind. Click HERE for the recipe in pdf format. The Hungarian Vizsla Society is holding a Working Test on Sunday 29th May at Over Worton, Oxon. Download the Schedule and Entry Form by Clicking HERE and HERE. We have just returned from a busy weekend at Discover Dogs new venue - ExCel London, representing the Hungarian Vizsla. We met lots lovely people who were really doing their homework before deciding on the breed for them - it was a pleasure to be able to point out all the pros and cons of Vizsla ownership! All were keen to only buy from responsible breeders so come on members - advertise your litters on the Society Website for free! The breed websites should be the first port of call for prospective new owners who are trying to buy responsibly.